Alexander directed by Oliver Stone. Colin Farrell as Alexander The Great. 1) Where are the Historical Errors in the film? This painting in the Louvre Museum is a work of Hubert Robert (1733 -1808) done around 1754. The subject taken from the Greek rhetorician Claudius Aelianius or Aelian (Varia Historia, XII, 7), writing in the second century CE, and shows the Macedonian king having the tomb of Achilles opened in order to pay a homage to the Greek hero of the Trojan War. Achilles’ relationship with Patroclus is a key aspect of his myth. Its exact nature has been a subject of dispute in both the classical period and modern times. Thus in 5th-century BCE Athens, the relationship was commonly interpreted as pederastic. Nowadays some see it as a love relationship of an egalitarian homosexual couple. It is the same case as the relationship between Alexander the Great and Hephaestion. The relationship between the Macedonian king and his dearest and closest friend and confidant, lasted their whole lives, and was compared, by others as well as themselves, to that of Achilles and Patroclus. Hephaestion and Alexander grew up in a time and place where homosexual affairs were seen as perfectly normal. Roman and later writers, taking the Athenian pattern as their example, have tended to assume either, that their sexual relationship belonged to their adolescence, after which they left it behind, or that one of them was older, the lover (erastes) and the other was the beloved (eromenos). Claudius Aelianus takes the latter view when he uses just such an expression when describing the visit to Troy: “Alexander laid a garland on Achilles’ tomb and Hephaestion on Patroclus’, indicating that he was Alexander’s eromenos, as Patroclus was of Achilles.” No other circumstance shows better the nature and length of their relationship than Alexander’s overwhelming grief at Hephaestion’s death. The many and varied ways, both spontaneous and planned, by which Alexander poured out his grief are overwhelming. In the context of the nature of their relationship however, one stands out as remarkable. Lucius Flavius Arrianus “Xenophon” (Arrian of Nicomedia, ca. 86 – 160), in his work Ἀλεξάνδρου ἀνάβασις says that Alexander “… flung himself on the body of his friend and lay there nearly all day long in tears, and refused to be parted from him until he was dragged away by force by his Companions. This painting by Robert (known as Robert des Ruines) is close to Panini, who was his teacher during his long stay of 11 years in Rome, and it is considered to be one of the first productions of the French artist in that city. In the painting by the French vedutista, an architectural fantasy, we see a pyramid similar to that of Caius Cestius in Rome, the ruins of a temple with Ionic columns inspired by the temple of Saturn in the Roman Forum and a round temple, after the Roman temple of Vesta, or the temple of the Sybile in Tivoli. The statue standing at the left-hand side of the canvas is the so-called Antinous of the Belvedere, or Antinous Admirandus, the famous statue in the Pio-Clementino Museum of the Vatican. This statue, correctly identified as a Hermes in the 19th century, was long taken to be a depiction of the beautiful Bythinian lover of Emperor Hadrian, one of the great “eromenos-erastes” relationship of the antiquity. 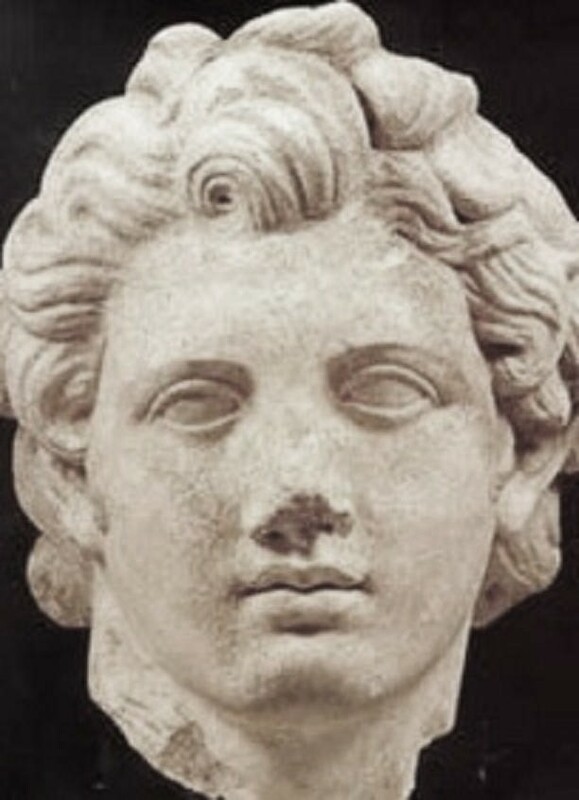 In February 324, Alexander forced many Macedonian officers to marry to native women. If it was intended as an attempt to unite the European and Asian elites, it was a sad failure: nearly all marriages ended in divorce. The Greek author Arrian of Nicomedia describes this event in section 7.4.4-5.6 of his Anabasis. Then he also celebrated weddings at Susa, both his own and those of his Companions. He himself married Barsine , the eldest of Darius’ daughters, and, according to Aristobulus, another girl as well, Parysatis, the youngest of the daughters of Ochus . He had already married previously Roxane, the daughter of Oxyartes of Bactria. He gave Drypetis to Hephaestion, she too a daughter of Darius and a sister of his own wife; his intention was that the children of Hephaestion should be cousins to his own children. To Craterus he gave Amastris daughter of Oxyathres, brother of Darius, and to Perdiccas the daughter of Atropates, satrap of Media. To Ptolemy the bodyguard and to Eumenes the royal secretary he gave the daughters of Artabazus, Artacama to one and Artonis to the other. To Nearchus he gave the daughter of Barsine and Mentor, and to Seleucus the daughter of Spitamenes of Bactria . Similarly he gave to the other Companions the noblest daughters of the Persians and Medes, some eighty in all. The marriages were celebrated according to Persian custom. Chairs were placed for the bridegrooms in order, and after the drinks the brides came in and sat down, each by the side of her groom. They took them by the hand and kissed them; the king began the ceremony, for all the weddings took place together. More than any action of Alexander this seemed to show a popular and comradely spirit. The bridegrooms after receiving their brides led them away, each to his own home, and to all Alexander gave a dowry. And as for all the Macedonians who had already married Asian women, Alexander ordered a list of their names to be drawn up; they numbered over 10,000, and Alexander offered them all gifts their wedding. He also thought this was a suitable opportunity to settle the debts of the army, and ordered a list of individual debts to be drawn up, with a promise to pay them. At first few put down their names; they feared Alexander was testing them to find out who thought the soldier’s pay insufficient and who was living above his means. When it was reported that the majority would not put their names down, but concealed any bonds they had, he condemned the soldiers’ lack of trust. A king should not say anything but the truth to his subjects, and they must not imagine their king to be saying anything but the truth to them. So he had tables set up in the camp with gold on them, and men charged with the distribution of money to anyone who could show a bond, and he ordered the debts to be settled but without now drawing up a list of names. In this way they were convinced that Alexander was saying the truth, and their pleasure at not being individually identified was even greater than their satisfaction at seeing their debts paid off. It is said that up to 20,000 talents were distributed to the army on that occasion. He also made various presents to various men, according to the reputation each enjoyed or the courage which anyone had displayed in dangers. He also crowned with golden wreaths those conspicuous for bravery, first Peucestas who had covered him with his shield , then Leonnatus for the same service and for the dangers he faced among the Indians and the victory he won among the Orians. With the forces left to him he opposed the them in battle, and in other respects and Alexander offered them all gifts for rebelling Oreitans and their neighbors and defeated he seemed to have handled affairs well among the Orians. 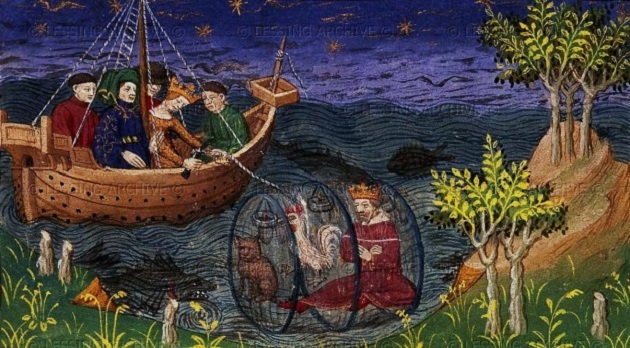 In addition Alexander crowned Nearchus for his navigation from India by the great sea; for he had now arrived at Susa. He also crowned Onesicritus the pilot of the royal ship, and Hephaestion and the other bodyguards. She is also called Statira. Surname of the Persian king Artaxerxes III (358-338). Her name was Apame (or Apame I, to use a modern expression). This marriage was the only one that did not end in divorce. This happened during Alexander’s attack on the town of the Mallians. This map reveals the route of Alexander the Great and his decisive battles at Granicus, Issus, Gaugamela, and Hydaspes. The Greatest of Them all. Revisionist professors, Hollywood turkeys, even the pacifist spirit of our age cannot wither the incomparable mystique and terrifying glamour of Alexander of Macedon. ‘All those who write about Alexander,” grumbled the Roman geographer Strabo, “prefer the marvelous to the true.” Such a criticism was not entirely accurate even when he made it 2,000 years ago, and it is certainly not fair now. We live in an age of groundbreaking classical scholar ship, when historians of the ancient world have only to get the sniff of a myth to set about busting it. Yet Alexander, more even than Cleopatra or Julius Caesar, has stood insouciant proof against every attempt at revisionism. No amount of cheese-paring by classicists can dim the brilliance of his luster. He remains what he has ever been: the epitome of youthful, world-conquering, terrifying glamour. We are, perhaps, more squeamish about the collateral damage inflicted by his ascent to greatness, and less prone to celebrate it, than earlier ages. “Is it not passing brave to be a king, and ride in triumph through Persepolis?” Christopher Marlowe demanded in “Tamburlaine,” his blood-sodden drama about a megalomaniacal one-time shepherd who had swaggered and slaughtered his way to a vast Asiatic empire in the 14th century. In point of boring historical fact, the mention of Persepolis in his hero’s vaunt is a serious anachronism. The city had been burnt to the ground long before the time of Tamburlaine, all the way back in 330 B.C. Marlowe, however, was a playwright, not a historian—and he could recognize a poetic truth when he saw one. The man responsible for destroying Persepolis had been none other than Alexander: the feat that broadcast his triumph more blazingly than all his many others, since the city had served, for almost two centuries, as the capital of Asia. The Achaemenids, a Persian dynasty whose rule had stretched from the Aegean to the Hindu Kush, had demonstrated in unprecedented fashion just how vast an empire might be. Alexander, by defeating them, had wrested from them their claim to global rule. Such was the heritage—of looting, bloodshed and unabashed imperialism—to which Tamburlaine in turn had laid devastating claim. No wonder, then, in Marlowe’s rendering of his protagonist’s career, that he should instinctively have alluded to the greatest conqueror of them all. 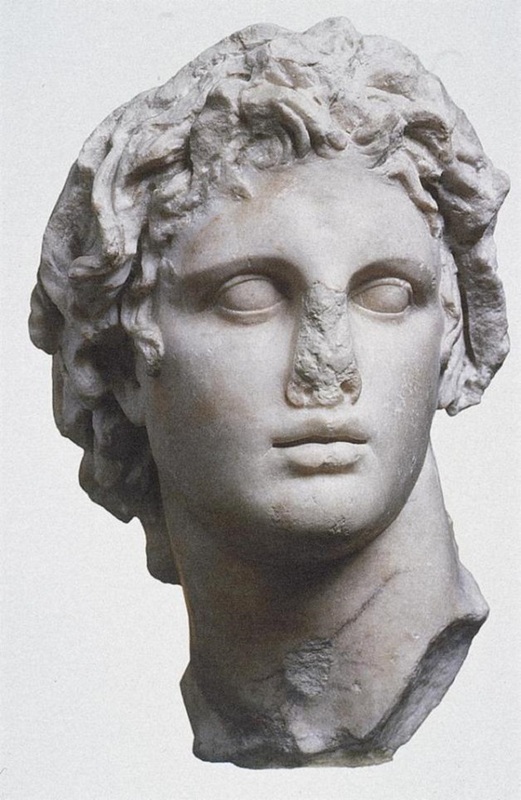 Alexander III of Macedon (356-323 bc), better known to history as ‘Alexander the Great’, spent several months in Egypt as part of his on-going campaign against the mighty Persian Empire of Darius III. 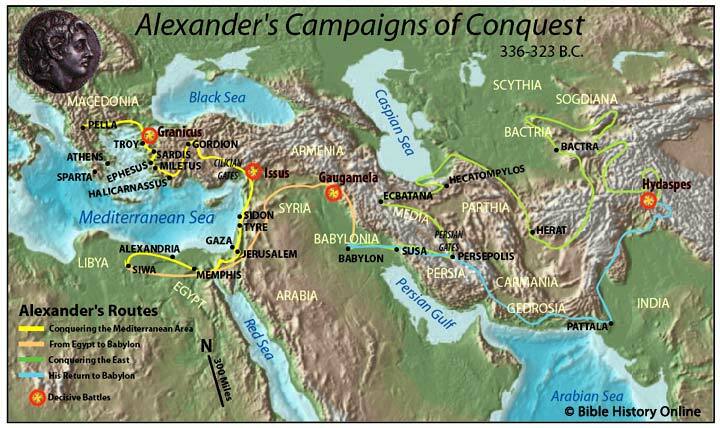 After conquering Persia’s naval bases all along the coastline of Asia Minor and Syria-Palestine, Alexander marched south into Egypt where he remained for some six months. Although generally regarded as little more than an eccentric diversion, Alexander’s Egyptian sojourn was essential to his future plans. He needed a strong coastal base for both strategic and commercial purposes, from which he could not only communicate across the Mediterranean but which could also handle the highly lucrative sea-borne trade network he wanted to divert from Phoenicia. With naval reinforcements following his progress down the coast, his Macedonian army covered the hazardous 130 mile distance in only a week to reach the heavily fortified coastal town of Pelusium in late October 332 bc. With his reputation going before him, Alexander was met by Egypt’s Persian governor Mazaces. With no armed forces and with no likelihood of any assistance following the defeated Darius’ swift departure back east to Persia, Mazaces simply handed over the treasury’s 800 talents and “all the royal furniture”. In return he was kept on as part of the new administration together with the new governor Cleomenes, who was made responsible for finance and created the royal mint around 331 bc. Cleomenes was a hard-headed, unscrupulous businessman who quickly amassed a personal fortune of 8,000 talents during his career as governor. Yet he remained loyal to Alexander with whom he kept up a regular correspondence, sending him such delicacies as smoked quail by the thousand. After installing a garrison at the key defensive site of Pelusium, Alexander then ordered his fleet to sail south up the Nile to the traditional capital Memphis (Ineb-hedj) at the apex of the Delta where he himself would arrive by land at the head of his troops. Passing by the ancient religious site of Heliopolis (Iunu) with its vast white temples and obelisks, Egypt made an enormous impression on both the Macedonian troops and their 24 year old leader. Brought up with his formidable mother Olympias’ tales of Egyptian gods, the religiously-minded Alexander must have been completely dumbstruck in a land so steeped in ritual, where priests held enormous power wielded inside temples not built to human scale. Passing by the great pyramids of Giza, still gleaming in their shining white limestone, he finally reached Memphis to a genuinely rapturous reception. Greek travelers had actually been visiting Egypt for centuries, many of them setting up trading colonies or acting as mercenaries. 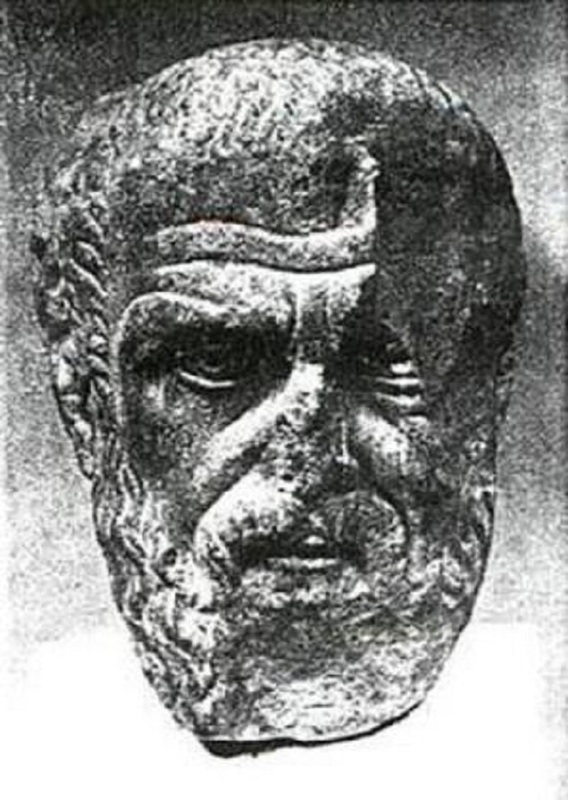 Others such as the historian Herodotus and philosopher Plato came to study a culture they regarded with awe as the cradle of civilization, their knowledge almost certainly part of Alexander’s education. Yet for almost 200 years Egypt had been occupied by Persia who had incorporated it into the growing empire, and assuming the Egyptian crown by right of conquest the Persian king had ruled in absentia through a satrap, exploiting its vast grain reserves and taxing its people. The Persians showed relatively little respect for the ancient traditions and were deeply unpopular, and the Egyptians’ had rebelled so often parts of the country remained virtually independent. Alexander was therefore hailed as Savior and Liberator, and as the people’s choice and legitimate heir he was offered the double crown of the Two Lands. Anointed as pharaoh in Memphis on 14 November 332 bc, the culmination of his coronation was the climactic moment when the high priest named him ‘son of the gods’ according to traditions dating back almost 3,000 years. This title deeply affected him, and Olympias’ references to him being the son of Zeus must have filled his mind; indeed, there were even scenes of the king of the gods Amun (‘Zeus’) impregnating selected queens with the heir to the throne! In a world where the gods were perceived as living entities and were considered a part of everyday life, Alexander must now have began to believe in his own divinity as a fact rather than a simple exercise of propaganda. 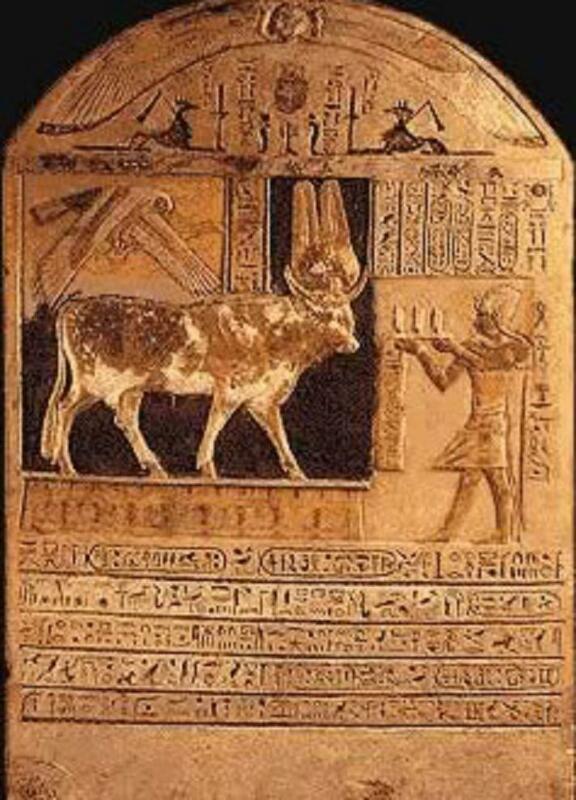 Always a devout man who began each day with sacrifices to the gods, Alexander had no difficulty worshipping the Egyptian deities. Equating their gods with his own, he worshipped the Egyptian Amun as a form of Zeus. At the Memphite necropolis of Sakkara the new pharaoh offered sacrifices to the Apis bull, cult animal of the creator god Ptah, followed by Greek-style games and literary contests in which performers from all over the Greek world took part in a multi-cultural extravaganza. These kind of events mark the beginnings of Hellenism in their blending of Greek practices and local traditions, and Egypt and Greece would successfully co-exist for the next 3 centuries. In spring 324 BC Hephaestion left Susa, where he had been married, and accompanied Alexander and the rest of the army as they travelled towards Ecbatana. They arrived in the autumn, and it was there, during games and festivals, that Hephaestion fell ill with a fever. Arrian says that after the fever had run for seven days, Alexander had to be summoned from the games to Hephaestion, who was seriously ill. He did not arrive in time; by the time he got there, Hephaestion was dead. Plutarch says that, being a young man and a soldier, Hephaestion had ignored medical advice, and as soon as his doctor, Glaucias, had gone off to the theatre, he ate a large breakfast, consisting of a boiled fowl and a cooler of wine, and then fell sick and died. 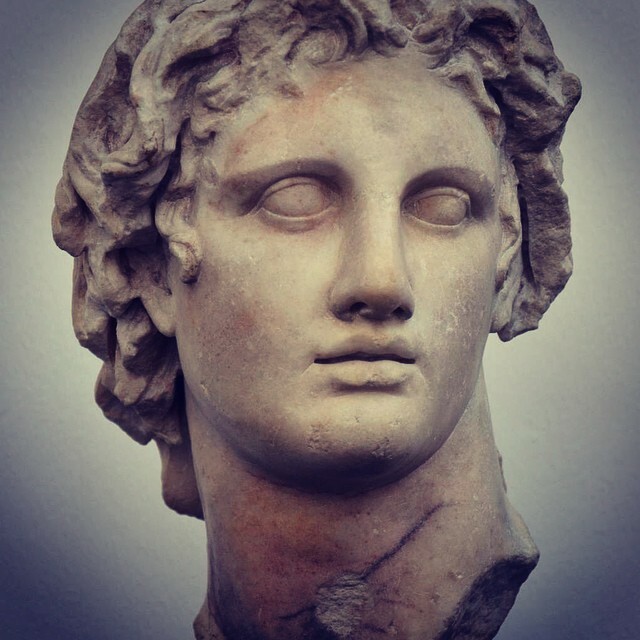 Piecing the accounts together, it seems as if Hephaestion’s fever had run its course for seven days, after which time he was sufficiently recovered for his doctor, and Alexander himself, to feel it was safe to leave him, and for Hephaestion to feel hungry. His meal, however, seems to have caused a relapse that led to his rapid death. Precisely why this should have happened is not known. As Mary Renault says: “This sudden crisis in a young, convalescent man is hard to account for.” The explanation that fits most of the facts is that the fever was typhoid, and that solid food perforated the ulcerated intestine that the typhoid would have caused. This would have led to internal bleeding, though it would be unusual in that case for death to follow quite as swiftly as it seems to have done here. For that reason, it is not possible altogether to discount other possible explanations, one of them being poison. 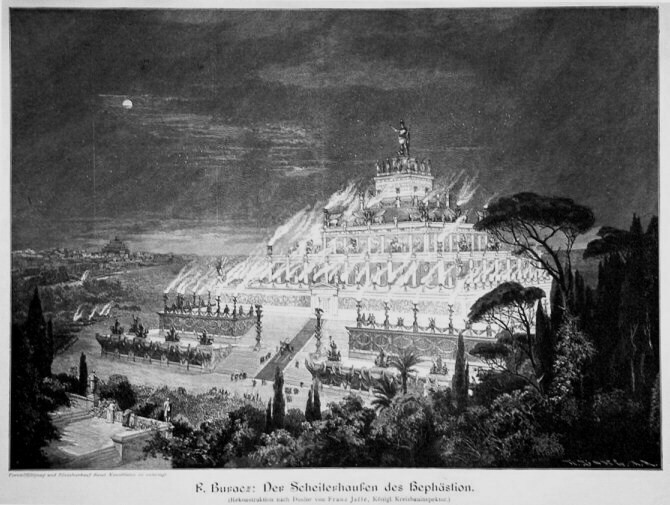 The seven stage funeral pyre of Hephaestion, based on the description by Diodorus and imitating the ziggurat shown in the background (late 19th century). Little is known of Hephaestion’s personal relationships, beyond his extraordinarily close friendship with Alexander The Great. Alexander was outgoing, charismatic man, who had many friends, but his dearest and closest friend and confidant was Hephaestion. Theirs was a friendship which had been forged in boyhood. It endured through adolescence, through Alexander’s becoming a king, through the hardships of campaigning and the flatteries of court life, and their marriages. Their tutor, Aristotle, described such a friendship as “..one soul abiding in two bodies”. That they themselves considered their friendship to be of such a kind is shown by the stories of the morning ater the battle of Issus. Diodorus, Arrian and Curtius all describe the scene, when Alexander and Hephaestion went together to visit the captured Persian royal family. Its senior member, the queen Sisygambis, knelt to Hephaestion to plead for their lives, mistaking him for Alexander, because he was taller, and both young men were wearing similar clothes. When she realised her mistake, she was acutely embarrassed, but Alexander reassured her with the words, “You were not mistaken, Mother; this man too is Alexander”. Their love for each other was no secret, as is borne out by their own words. Hephaestion, when replying to a letter to Alexander’s mother, Olympias, said “..you know that Alexander means more to us than anything”. 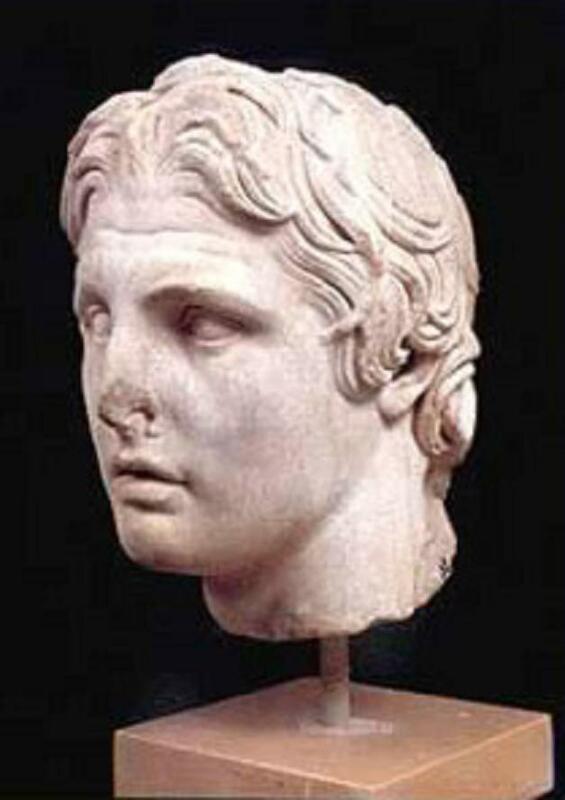 Arrian says that Alexander, after Hephaestion’s death, described him as “..the friend i valued as my own life”. Paul Cartladge describes their closeness when he says: “Alexander seems actually to have referred to Hephaestion’s as his alter ego”. Their friendship was also a working partnership; in all that Alexander undertook, Hephaestion was at his side. They worked well together; it is possible to discern a pattern, when studying Hephaestion’s career, of Alexander’s constant trust in, and increasing reliance on Hephaestion. By the time of the advance into India, after the deaths of senior generals from the older generation, there had been worrying instances among senior officers of their own generation, of treachery, a lack of sympathy with Alexander’s aims of further integration of Persians into the army, and of sheer incompetence. Time ater time, when Alexander needed to divide his forces, he entrusted half to Hephaestion, knowing that in him he had a man of unquestionable loyalty, who understood and sympathised with his aims, and above all, who got the job done. 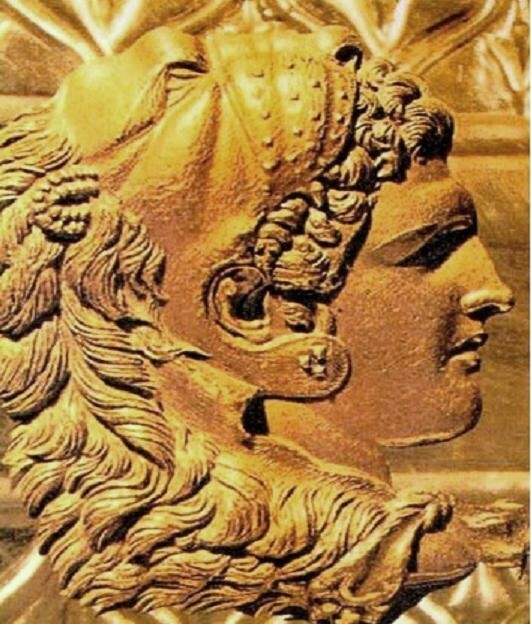 Ptolemy I Soter was a Macedonian Greek general under Alexander The Great, who became of ruler of Egypt (323 BC-283 BC) and founder of both the Ptolemaic Kingdom and Ptolemaic Dynasty. In 305 he took the title of pharaoh. Ptolemy served with Alexander The Great from his first campaigns, and played a principal part in the later campaigns in Afghanistan and India. At the Susa marriage festival in 324, Alexander had Ptolemy marry the Persian princess Artakama. Ptolemy also had a consort in Thais, the Athenian hetaera and one of Alexander’s companions in his conquest of the ancient world. When Alexander died in 323 BC Ptolemy is said to have instigated the resettlement of the empire made at Babylon. Through the Partition of Babylon, he was appointed satrap of Egypt, under the nominal kings Philip Arrhidaeus and the infant Alexander IV; the former satrap, the Greek Cleomenes, stayed on as his deputy. Ptolemy quickly moved, without authorization, to subjugate Cyranaica. 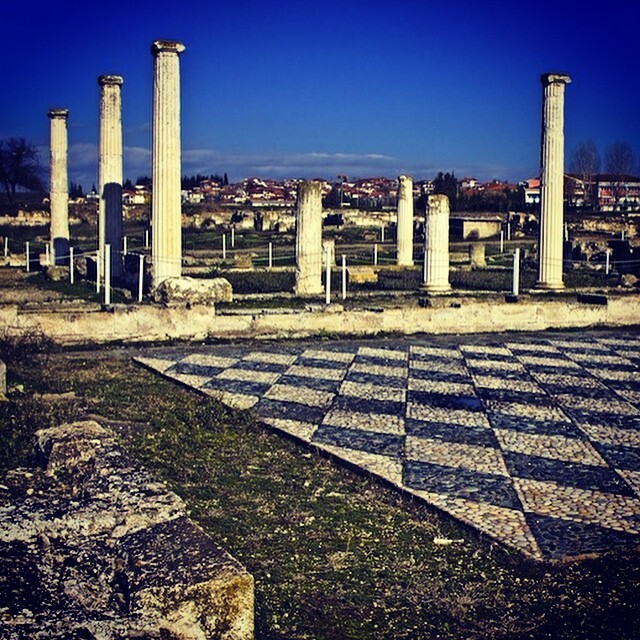 By custom, kings in Macedonia asserted their right to the throne by burying their predecessor. Probably because he wanted to pre-empt Perdiccas, the imperial regent, from staking his claim in this way, Ptolemy took great pains in acquiring the body of Alexander The Great, placing it temporarily in Memphis, Egypt. 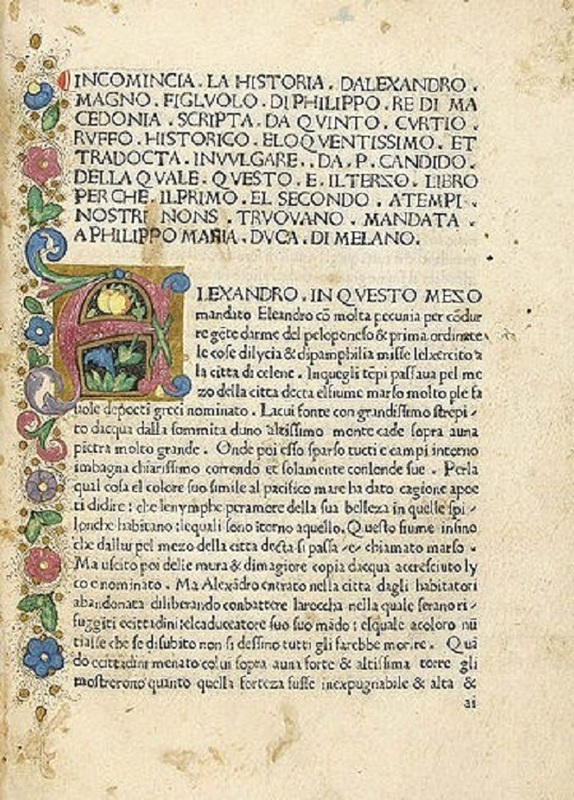 Ptolemy then openly joined the coalition against Perdiccas. Perdiccas appears to have suspected Ptolemy of aiming for the throne himself, and may have decided that Ptolemy was his most dangerous rival. Ptolemy executed Cleomenes for spying on behalf of Perdiccas – this removed the chief check on his authority, and allowed Ptolemy to obtain the huge sum that Cleomenes had accumulated. In 321, Perdiccas invaded Egypt. Ptolemy decided to defend the Nile, and Perdiccas’s attempt to force it ended in fiasco, with the loss of 2000 men. This was a fatal blow to Perdiccas reputation, and he was murdered in his tent by two of his subordinates. Ptolemy immediately crossed the Nile, to provide supplies to what had the day beore been an enemy army. Ptolemy was offered the regency in place of Perdiccas, but he declined. Ptolemy was consistent in his policy of securing a power base, while never succumbing to the temptation of risking all to succeed Alexander. In the long wars that followed between the different Diadochi, Ptolemy’s first goal was to hold Egypt securely, and his second was to secure control in the outlying areas : Cyrenaica and Cyprus, as well as Syria, including the province of Judea. His first occupation of Syria was in 318, and he established at the same time a protectorate over the petty kings of Cyprus. When Antigonus One-Eye, master of Asia in 315, showed dangerous ambitions, Ptolemy joined the coalition against him, and on the outbreak of war, evacuated Syria. In Cyprus, he fought the partisans of Antigonus, and re-conquered the island (313). A revolt in Cyrene was crushed the same year. In 312, Ptolemy and Seleucus, the fugitive satrap of Babylonia, both invaded Syria, and defeated Demetrius Poliorcetes (“besieger of cities”), the son of Antigonus, in the battle of Gaza. Again he occupied Syria, and again after only few months, when Demetrius had won a battle over his general, and Antigonus entered Syria in force, he evacuated it. In 311, a peace was concluded between the combatants. Soon after this, the surviving 13-year old king, Alexander IV, was murdered in Macedonia, leaving the satrap of Egypt absolutely his own master. The peace did not last long, and in 309 Ptolemy personally commanded a fleet that detached the coastal towns of Lycia and Caria from Antigonus, then crossed into Greece, where he took possession of Corinth, Sicyon and Megara (308 BC). In 306, a great fleet under Demetrius attacked Cyprus, and Ptolemy’s brother Menelaus was defeated and captured in another decisive battle of Salamis. Ptolemy’s complete loss of Cyprus followed. The satraps Antigonus and Demetrius now each assumed the title of king; Ptolemy, as well as Cassander, Lysimachus and Seleucus I Nicator, responded by doing the same. In the winter of 306 BC, Antigonus tried to follow up his victory in Cyprus by invading Egypt; but Ptolemy was strongest there, and successfully held the frontier against him. Ptolemy led no further overseas expeditions against Antigonus. However, he did send great assistance to Rhodes when it was besieged by Demetrius (305/4). Pausanius reports that the grateful Rhodians bestowed the name Soter (“saviour”) upon him as a result of lifting the siege. This account is generally accepted by modern scholars, although the earliest datable mention of it is from coins issued by Ptolemy II in 263 BC. The other members of the coalition had assigned all Syria to Seleucus, after what they regarded as Ptolemy’s desertion, and for the next hundred years, the question of the ownership of southern Syria produced recurring warfare between the Seleucid and Ptolemaic Dynasties. Henceforth, Ptolemy seems to have mingled as little as possible in the rivalries between Asia Minor and Greece; he lost what he held in Greece, but reconquered Cyprus in 295/4. Cyrene, after a series of rebellions, was finally subjugated about 300 and placed under his stepson Magas. Ptolemy coin with Alexander wearing an elephant scalp, symbol of his conquest of India. In 289, Ptolemy made his son by Berenice – Ptolemy II Philadelphus – his co-regent. His eldest legitimate son, Ptolemy Keraunos, whose mother, Eurydice, the daughter of Antipater, had been repudiated, fled to the court of Lysimachus. 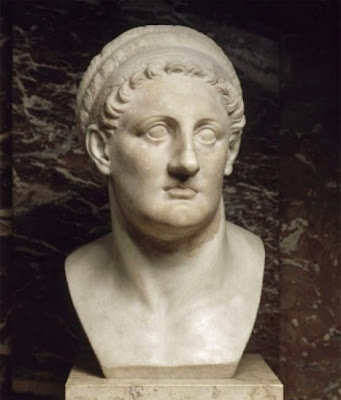 Ptolemy I Soter died in 283 at the age of 84. Shrewd and cautious, he had a compact and well-ordered realm to show at the end of forty years of war. 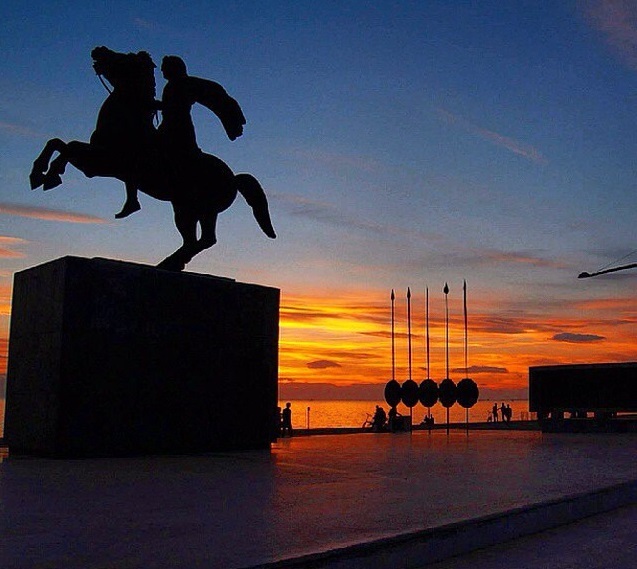 His reputation for bonhomie and liberality attached the floating soldier-class of Macedonians and Greeks to his service, and was not insignificant; nor did he wholly neglect conciliation of the natives. He was a ready patron of letters, founding the Great Library of Alexandria. 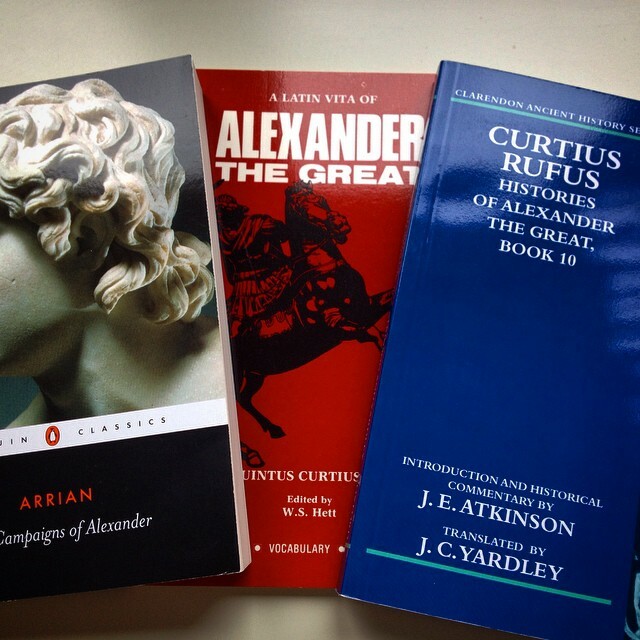 He himself wrote a history of Alexander’s campaigns that has not survived. This used to be considered an objective work, distinguished by its straightforward honesty and sobriety. However, Ptolemy may have exaggerated his own role, and had propagandist aims in writing his history. Although now lost, it was a principal source for the surviving account by Arrian of Nicomedia. Sharing Alexander’s upbringing, Hephaestion would have learned to fight and to ride well from an early age. His first taste of military action was probably the campaign against the Thracians while Alexander was regent (followed by Philip II’s Danube campaign 342 BC) and the battle of Chaeronea 338 BC while he was still in his teens. 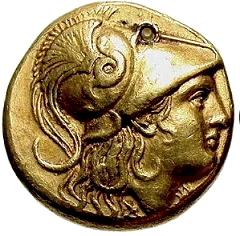 His name is not mentioned in list of high ranking officers during the early battles of Alexander’s Danube campaign 335 BC, or the invasion of Persia, and nor are the names of Alexander’s other close friends and contemporaries, suggesting that their promotions, when they achieved them, were earned by merit. 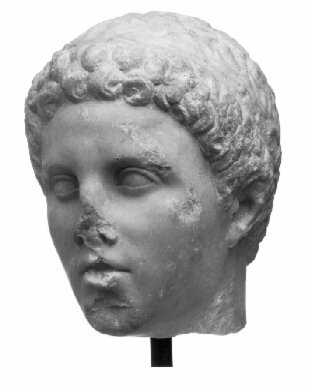 Hephaestion’s career was never solely a military one. Right from the start, he was also engaged in special missions, sometimes diplomatic, sometimes technical. The first mention of his career in the sources is a diplomatic mission of some importance. 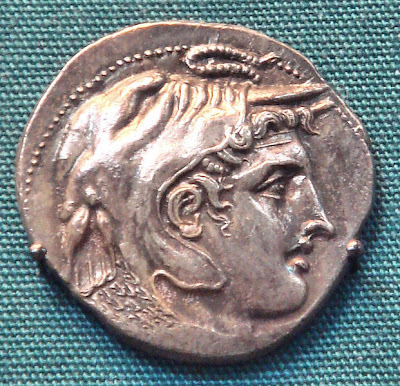 After the battle of Issus 333 BC, when Alexander was proceeding south down the Phoenician coast and had received the capitulation of Sidon, Hephaestion was “… authorised to appoint to the throne the Sidonian he considered most deserving of that high office.” Hephaestion took local advice, and chose a man distantly related to the royal family, but whose honesty had reduced him to working as a gardener. 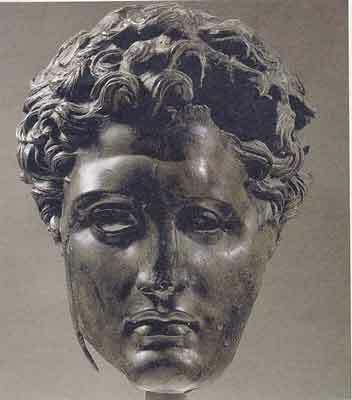 The man, Abdalonymus, had a successful royal career, fully justifying Hephaestion’s choice. After the siege of Tyre 332 BC, Alexander entrusted his fleet to Hephaestion, who had orders to skirt the coast and head for Gaza, their next objective, while Alexander himself led the army overland. Hephaestion’s task was not an easy one, for this was not the Athenian fleet with which Alexander had started, and had earlier disbanded, but a motley collection of semi-reluctant allies of many nationalities, who would need holding together with patience and strength. Furthermore, on arrival at Gaza, the cargo of siege engines had to be unloaded, transported across difficult terrain, and reassembled. It is at Gaugamela that mention is first made of Hephaestion’s rank. He is called the “… commander of the bodyguards (somatophylakes).” This is not the Royal Squadron, whose duties also included guarding the king in battle, and which was at that time commanded by Cleitus—a man of the older generation—but a small group of close companions specifically designated to fight alongside the king. Hephaestion was certainly in the thick of things with Alexander, for Arrian tells us he was wounded, and Curtius specifically mentions that it was a spear wound in the arm. After Gaugamela, there is the first indication that Alexander intended reconciliation with the Persians, and that Hephaestion supported him in this unpopular policy. One evening in Babylon, Alexander noticed a high-born woman obliged to dance as part of the entertainment. Curtius explains: “The following day, he (Alexander) instructed Hephaestion to have all the prisoners brought to the royal quarters and there he verified the lineage of each of them.”Alexander had realised that people from noble families were being treated with little dignity, and wanted to do something about it. That he chose Hephaestion to help him shows that he could rely on Hephaestion’s tact and sympathy. 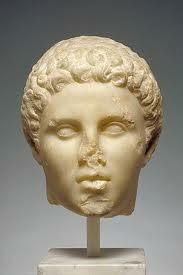 Yet Alexander could also rely on Hephaestion for firmness and resolve. When his policies had led to a plot against his life, the possible involvement of a senior officer, Philotas, caused much concern. It was Hephaestion, along with Craterus and Coenus, who insisted on, and actually carried out, the customary torture.